Veterans who are entrepreneurs — like all entrepreneurs — may need funding at various stages of running a small business. Whether it’s to hire new employees, purchase equipment or fund marketing expenses, a small business loan can help. Here are the best business loans for veterans, plus information on VA loans and other financing resources. Lenders generally prefer to do business with established companies that have strong cash flow, and this often disqualifies startups with less than a year of operating history and little revenue. However, you’re not completely out of luck: If you have good personal credit, your options include business credit cards and personal business loans. Business credit cards typically provide up to $50,000 in revolving credit, meaning you can borrow and repay from the credit card as needed, and only pay interest on withdrawn funds. Personal loans for business provide a lump sum of cash, with a fixed interest rate and repayment terms. Both options are unsecured, meaning you won’t have to put down collateral — an asset, such as real estate or inventory — to qualify. Kabbage offers a line of credit. It requires a minimum credit score of 560 and at least $50,000 in annual revenue to qualify. For businesses generating at least $100,000 in annual revenue, OnDeck offers a term loan. 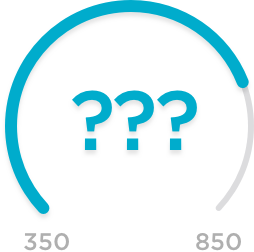 You’ll increase your likelihood of approval if you have a credit score of 660 or higher and $450,000 or more in annual revenue. If you have a personal credit score of at least 600, a year in business and $75,000 in annual revenue, StreetShares is a good option. The company, which is run by the veterans who founded it, limits funding to 20% of your annual revenue. For businesses with shorter operating history, consider BlueVine’s 6-month line of credit. To qualify, you need a personal credit score of 600 or higher, six months of business history and annual revenue of $100,000. More established businesses can apply for the 12-month line of credit. Quarterspot is an option if you need to borrow higher amounts (up to $250,000) and have bad credit. The lender requires a minimum credit score of 550 and doesn’t do a hard credit pull, so applying won’t hurt your personal credit score. If you have an established business and strong finances, SmartBiz is an option for expansion financing. It provides Small Business Administration loans, which have relatively low interest rates and a 10-year repayment term. Qualifying with SmartBiz requires a personal credit score of at least 600 on loans between $30,000 and $150,000, and at least 650 on loans above $150,000. For purchasing real estate, SmartBiz offers a separate commercial real estate loan. Credibility Capital is an option for larger loans, up $400,000. Qualifying requires at least two years in business, with at least $250,000 in annual revenue and a minimum personal credit score of 680. Fundbox and BlueVine are two financing options for businesses with unpaid customer invoices. Fundbox’s invoice financing works best if you need to borrow up to $100,000 against your invoices. It’s also an option if you have bad credit as there’s no minimum credit score requirement. If you need to borrow more than $100,000, a better option is BlueVine, which lends up to $5 million. To qualify, you need a personal credit score of at least 530. No upfront fees for eligible borrowers on 7(a) loans of $125,000 or less. Reduced fees by 50% on 7(a) loans between $125,001 and $350,000. No fees on SBA Express loans between $150,001 and $350,000. SBA loans are offered through banks, credit unions and other lenders (including lenders partnered with SmartBiz), with the SBA guaranteeing a portion of the loan if the borrower defaults. For other financial resources for veterans, check out our list of small-business grants for veterans or personal loans for veterans.